Very Good. 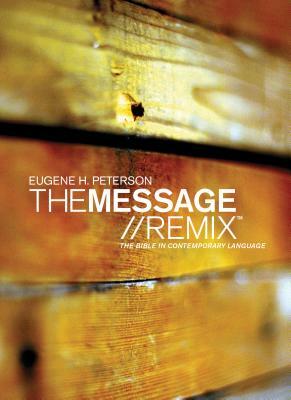 Message Remix (Th1nk LifeChange) by Peterson, Eugene H., 2006-07-19. Sewn binding. Paper over boards. 1856 p. Contains: Illustrations. Th1nk LifeChange. Intended for a young adult/teenage audience. Good. Message//Remix, The (Th1nk LifeChange) by Peterson, Eugene H., 2006-07-19. Sewn binding. Paper over boards. 1856 p. Contains: Illustrations. Th1nk LifeChange. Intended for a young adult/teenage audience.